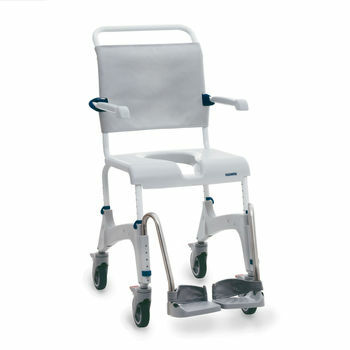 High quality castors enable it to be pushed with ease. Height adjustable seat frame, armrests and footrests. Rust-proof components - All metal parts are made of stainless steel. Washable, tension-adjustable backrest with quick-release buckles.